5/8in wide - 2-yards long, nylon. Matches well with ByAnnie's Handbag Zipper colors and ByAnnie's Lightweight Mesh. Fold-over elastic provides a decorative-type finish to many decorative apparels and crafts. Using fold-over elastic for finishing the edges of mesh fabric for pockets in purses and bags. 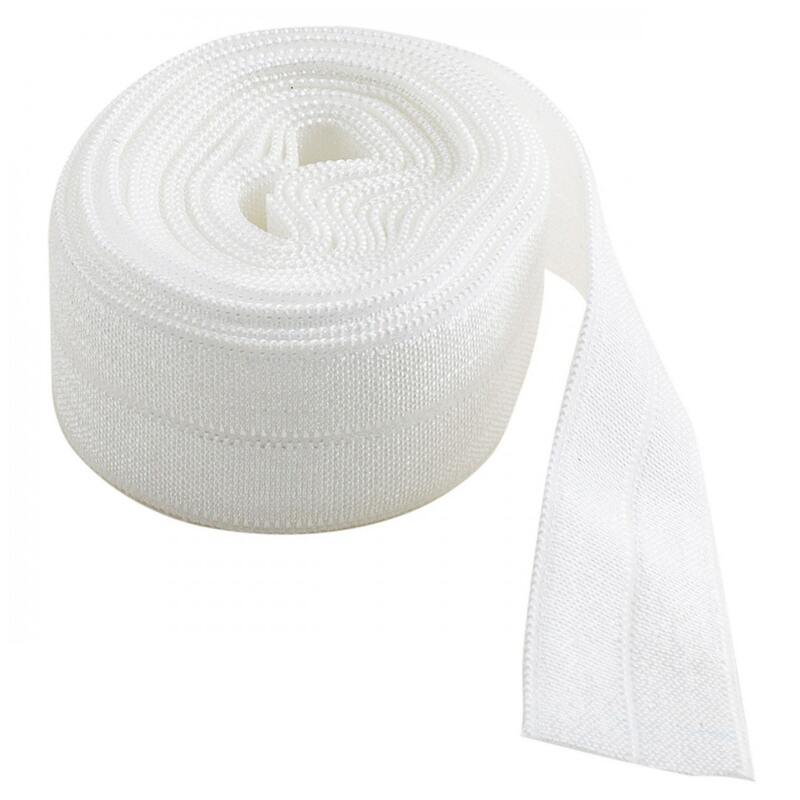 Perfect for finishing a neckline or wristbands on a special outfit, fold-over elastic also beautifully finishes the edges of diapers or diaper covers to securely fit baby. 1. Position the edges of fabric in center of fold-over elastic. 2. Fold elastic over raw edges and pin at beginning. 3. For smooth edges: Set the stitch to a straight stitch or a narrow, medium-length zig-zag. Carefully guide fabric and fold-over elastic under machine needle and stitch. 4. For gathered edge: Guide fabric and fold-over elastic with one hand as you stretch fold-over elastic tightly with other hand. Then straight or zig-zag stitch on edge of fold-over elastic, catching all layers.